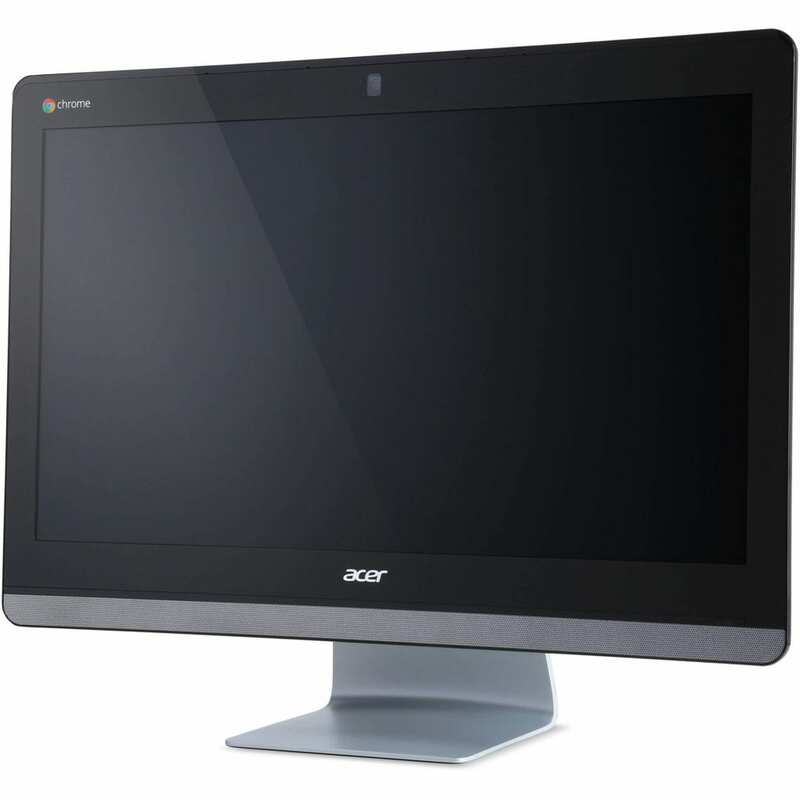 The Acer Chromebase 24, overall, is an exercise in safety. There’s no innovation or taken risks, but there are also very few misses as a result. A solid build, solid performer, and overall ‘pretty good’ experience makes this device a forgettable one, but a functional one as well. For our review, we tested the absolute base model obtained from Walmart for only $429. And, being honest, that is one of it’s biggest selling points. For $429, this thing is really good. For fuller details you can watch the review in video form below, but there’s also a quick rundown right after. The first element you see is the screen, and it is pretty good. At this size, I prefer QHD (2560×1440) because this size of a screen really can make great use of all those extra pixels. I work from a 25″ QHD screen every day and the difference was quickly apparent. Though it wasn’t as sharp as I’d like, it wasn’t that bad. The colors were pretty warm, but again, if I didn’t have it next to a $400 monitor, perhaps it wouldn’t have been so noticeable. The model we tested didn’t include the touch screen, but you can get this exact model with touch for $499. One of the biggest issues was glare. As you can see in the video, there is a sizable gap between the outer panel and the actual screen. This is always a recipe for glare. The stand also gives about 30 degrees of adjustment which helps offset the glare a bit. Overall, the build of the Chromebase 24 is pretty solid. The base is all aluminum and substantial. There’s no wobbling or cheap-feeling elements here. The sizable bezel is one of the few things that gives off a cheap vibe. It’s just shy of 2 inches thick and for no real apparent reason. Again, it didn’t bother me until I set it next to my monitor that has 1/4″ bezels. At that point it looked almost ridiculous. The speaker grill under the screen is pretty attractive and the speakers inside are pretty decent. I wish there was an upgradable option, because with that space they could get some nice sound. As it stands, they are average. For a base model, the device performed very, very well. I worked from the Chromebase 24 exclusively for a full week and never really had an issue. I believe Chrome OS is getting better at RAM management and this has been very apparent with the Chromebase 24. Not once did I think about memory. And, with a consistent Octane score of just over 16K, it chewed through everything I threw at it. The day of cheaper Chrome OS devices being all you need is finally arriving, I think. I was honestly very impressed. So, the short version is: The Acer Chromebase 24 is a competent, useful machine. Almost everything screams ‘pretty good.’ There wasn’t a standout feature or a point I found myself amazed, but I wasn’t disappointed either. And, as a critical person, that is saying something.